Dhaka, 30 August, Abnews: The outgoing UN human rights chief says the Myanmar de-facto leader, Aung San Suu Kyi, should have resigned over Myanmar military’s violent campaign against the Rohingya Muslim minority last year. 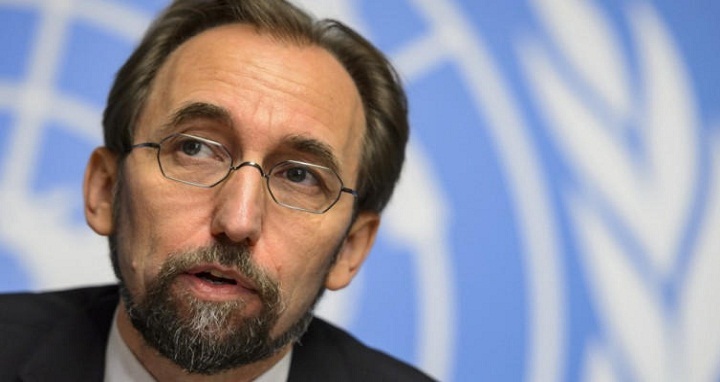 The Nobel Peace prize winner’s attempts to excuse it were “deeply regrettable”, Zeid Ra’ad al Hussein, the outgoing UN human rights chief, said in an interview with BBC. “There was no need for her to be the spokesperson of the Burmese military,” he said in the interview with the BBC's Imogen Foulkes. "She could have stayed quiet - or even better, she could have resigned." “She could have said look, you know, I am prepared to be the nominal leader of the country but not under these conditions,” Hussein added. Hussein’s comments come a day after the release of an independent United Nations investigation into human rights abuses carried out against Rohingyas.